We're delighted to announce that local business, Ace Embroidery is our new uniform supplier. Established in 1987, ACE Embroidery Limited is a specialist supplier of embroidered, printed and engraved promotional goods, based in Halesowen in the West Midlands. 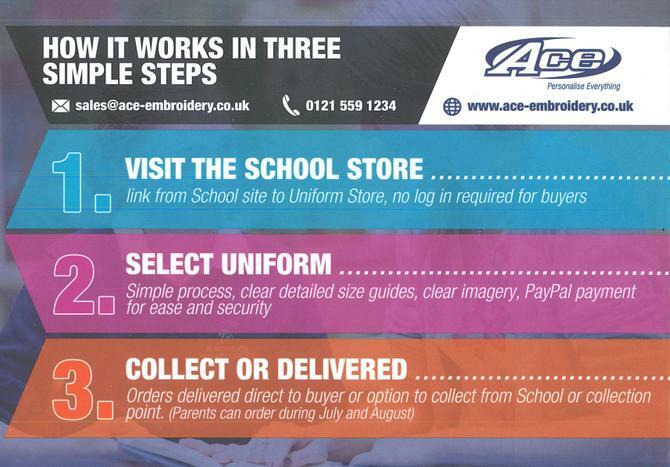 You can order your uniform from Ace Embroidery here. 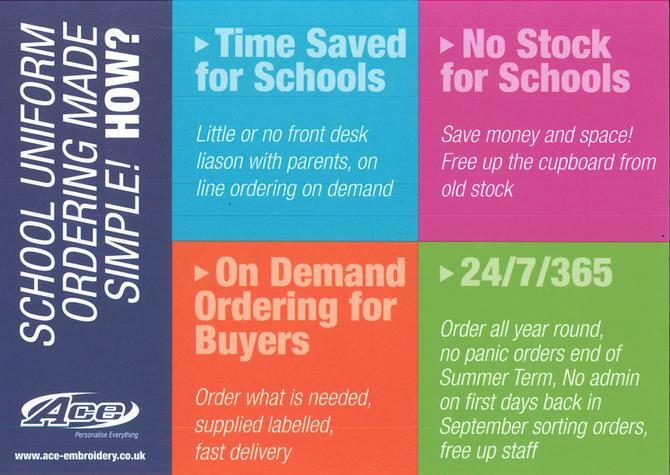 For more information, please head to the school uniform section of our website.